When you’re building a new home, you want to create a space that surrounds you with both a warm welcome and a sense of efficiency. While these features can come in different shapes and forms, well-designed, well-placed organization systems can help you accomplish both goals at the same time. How does storage space affect hospitality? If you want to know how welcoming your new home will feel, envision how the space will be used. Walk through the house in your mind, making note of which rooms will get the most use and which ones may be used less frequently. Who will be using each room? Where will your family enter your home? Where will guests enter your home? Which areas of the house will experience the most traffic? For the busiest rooms, like the family room and entryway, consider offering storage space for family, guests, and anyone else who may need to use the space. If you’re planning on having two different entries into the house — one for family and one for guests — compare your family’s storage needs to those of your guests, and tailor your solutions for each location. Additionally, focus on the areas where your family will congregate the most. What will be needed for those rooms? Some possibilities include storage for toys, sports equipment, media and entertainment, shoes, and grab-and-go necessities. How does storage space affect efficiency? Do you anticipate needing more storage space in the future? Is this use of space functional and practical? What types of storage would make life easier? If this is your first house or one that you plan on growing into, it’s possible that your storage space needs will increase as time passes. Whether your future includes kids, parents, grandparents, or pets, assess whether you’ve set aside enough space for evolving storage needs. In addition, plan to invest in quality storage products that will stand the test of time. 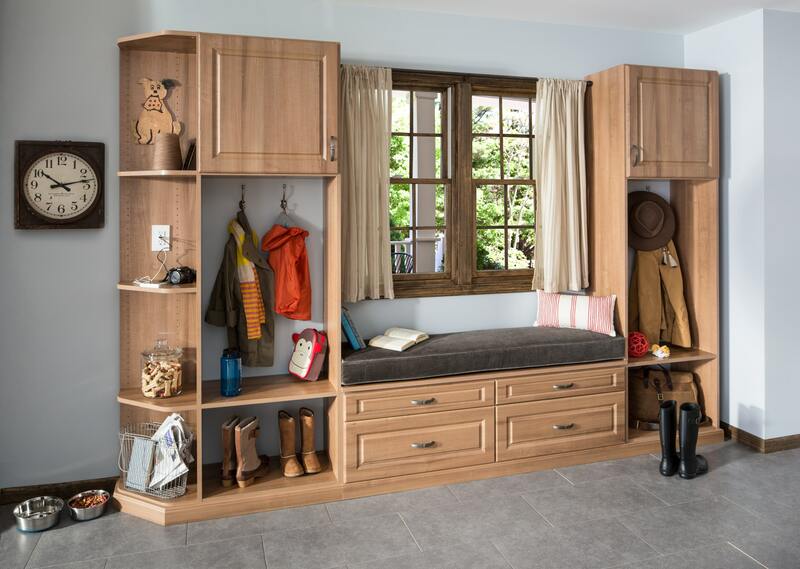 The mudroom is the perfect place to customize your family’s specific storage needs. Whether you need a place to store sports equipment, jackets, backpacks, or shoes, look for specific solutions to get the job done neatly. For items that can be grouped together, such as sporting goods, a tall storage unit with baskets and adjustable shelving is a great option. Designating a hook or cubby for each member of the family helps keep everyone organized. When you want to store items out of sight, a custom storage cabinet with doors or drawers does the trick. Since each closet in your new home will be used for a different purpose or person, think about customizing each one to add personality and efficiency. From extra shelving to baskets and hanging space, take the time to figure out what kind of closet storage suits your needs in the master bedroom, kids’ rooms, or entryway. For dresses and longer clothing items, consider adding tall hanging space. For storing jackets, shirts, and pants, you can double up hanging rods to make the most of your space. Store folded items such as sweaters, jeans, casual shirts, and extra blankets on open shelves for quick access. Accessories like belts and scarves can hang on individual hooks using pull-out racks, and slanted shoe shelves can keep footwear organized and on display. When it comes to storing your food and cooking items, consider how much horizontal space you want to use versus how much vertical space you have. 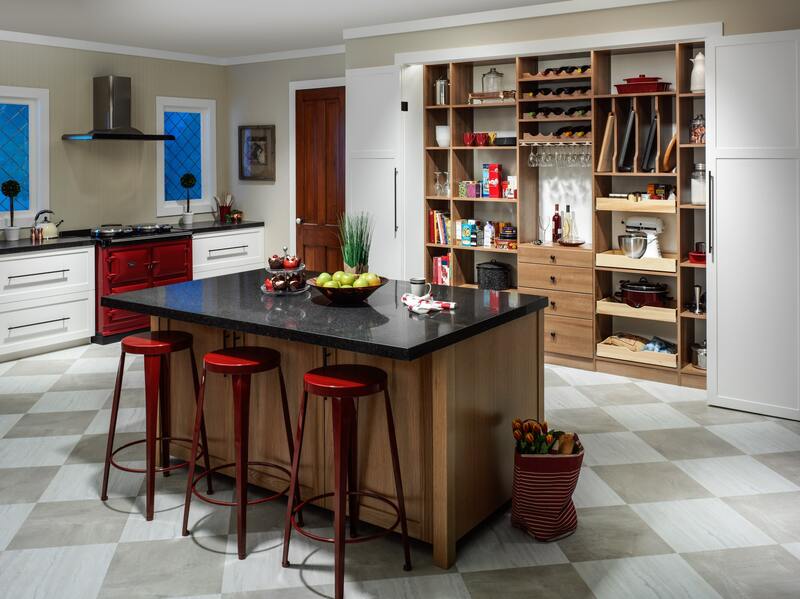 Would you prefer open shelving or closed? Choose the color, style, and hardware that fit your personality and enhance your home. From the TV and electronics to music, games, and books, your family room has a wide variety of storage needs. Open shelving units provide a great way to store books and display special items, while closed cabinets with doors and drawers can stow games, movies, and other devices to maintain a tidy appearance in your room. 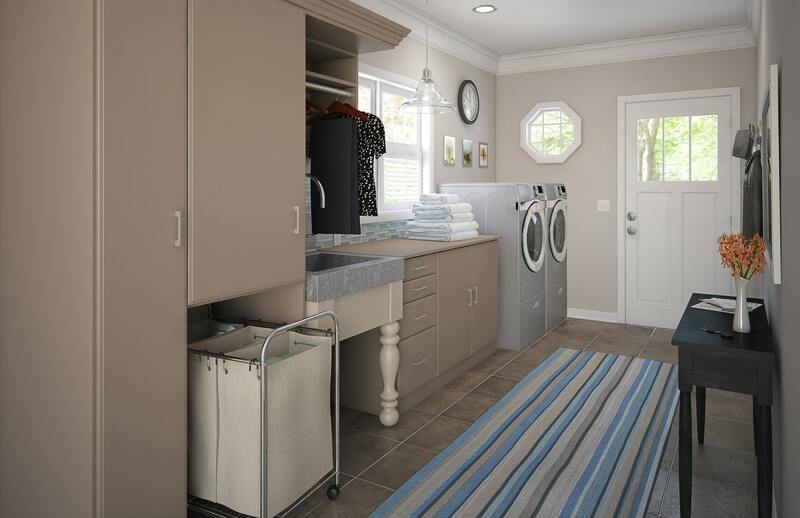 Simplify sorting, cleaning, folding and ironing laundry and make your laundry room more pleasant and efficient with smart storage solutions. Open shelving keeps commonly-used cleaning supplies close-at-hand, or you can place them behind closed cabinet doors for a clean and tidy appearance. To keep floor space open, include a fold-away ironing board or baskets and hampers for laundry. Use hanging rods or a valet pole to store freshly cleaned clothes before ironing or placing them into your closet. By defining the different areas of your new house and how they’ll be used, you can discover the right organization solutions to make every room efficient, welcoming, and well organized.